I am so honored to announce that Project 24 :: Capes for Kids is being featured in the December/January issue of FamilyFun magazine as a partnership with Enchanted Makeovers. Over the years we have done many projects with incredible organizations. I am super-duper excited about this partnership for Project 24 with Enchanted Makeovers. You see, Enchanted Makeovers was founded by Terry Grahl, who had the extraordinary vision to take women’s and children’s shelters and turn them into something beautiful. They started a program called Capes for Kids that simply melts my heart and truly aligns with my personal beliefs. Capes for Kids represents HOPE. Since every cape is unique and handmade with love, each child who receives one will feel their own superpowers, and know that they have the strength and ability to create whatever they want for their lives. As children, we often play dress up. But beyond just having fun, the clothing or costumes we put on our body send us a message. Many children play ‘superhero’ because the messages that superheroes ‘save the day’ are everywhere, but Enchanted Makeovers believes it’s not about calling on ‘superman’ or supergirl’ to swoop in. It’s about calling on our own strength, from within, that we never knew we had. It’s about the power of our minds, tapping into our imaginations. It’s about putting on our daily armor and believing in ourselves. When our programs were being developed, the goal was to teach the children life skills as well as coping skills. The power of imagination is infused throughout. As Dr. Victor Frankl, the author of Man’s Search for Meaning pointed out, when you can imagine survival, you will survive. For the children, the Capes for Kids program ignites the imagination and creativity. Since 2007, Enchanted Makeovers’ mission has been to transform homeless shelters for women and children into places that inspire behavioral and psychological change. Through their various projects, mentoring programs, and makeovers of the physical space, women and children are introduced to a way of thinking that helps to shift their outlook about their lives and possibilities for the future. The shelter is transformed into a beacon of hope. Mentoring programs such as the Sacred Sewing Room, Stepping into the Dream, and Capes for Kids develop important life and coping skills. FamilyFun and Craft Hope have partered with Enchanted Makeovers, a nonprofit organization with chapters in all 50 states that turns drab shelters for women and children into happy, comfortable places. We have been featured in Family/Fun’sYou can read all about our partnership on FamilyFun’s website here. Go on and read it, I’ll wait for you to come back! We are asking folks to help with Enchanted Makeovers’ Capes for Kids project by crafting homemade superhero capes for children living in shelters. What an incredible way to empower a group of children who need it most. Empower a child to be a SUPERHERO! Make a cape with your family, make a bunch with your Girl Scout troop, or throw a cape party and make dozens. You’ll be doing something important — giving hope to kids in crisis — while being creative and having fun. Make a cape, or several, following these directions or any other cape pattern you can find. Take a photo of your finished cape. Creative posing is encouraged! Upload your photo to FamilyFun’s Facebook page and clicking on the ‘capes for kids’ tab. 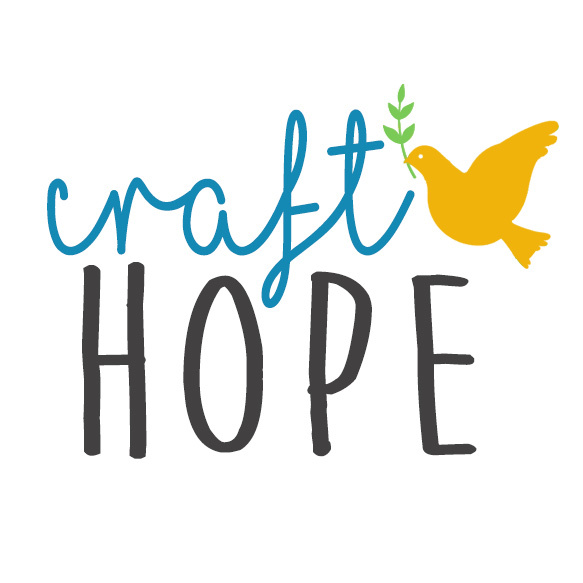 And we would love for you to upload your photo to Craft Hope’s Facebook page. The deadline for Project 24 is January 31, 2014. Need directions on how to make a cape? FamilyFun has posted a super easy tutorial for you. Pinterest also has a ton and google is your friend too. They are really easy to make and you can make quite a few quickly. We want to teach these kids to not wait for a superhero… be one! Now skidaddle to the store and get your own copy of FamilyFun magazine and read all about Project 24 :: Capes for Kids. Together we can empower thousands of kids with their own superhero cape! Let’s do this.